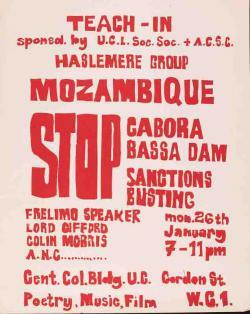 Poster advertising a teach-in on Mozambique on Monday, January 26, 1970 with a FRELIMO speaker, Lord Gifford, Colin Morris and the ANC (African National Congress). The huge Cabora Bassa dam project in Mozambique was a collaboration between South Africa, Rhodesia and Portugal. The project was intended to supply electricity to South Africa. The teach-in was part of a campaign to mobilize opposition to investment by British companies in the dam. 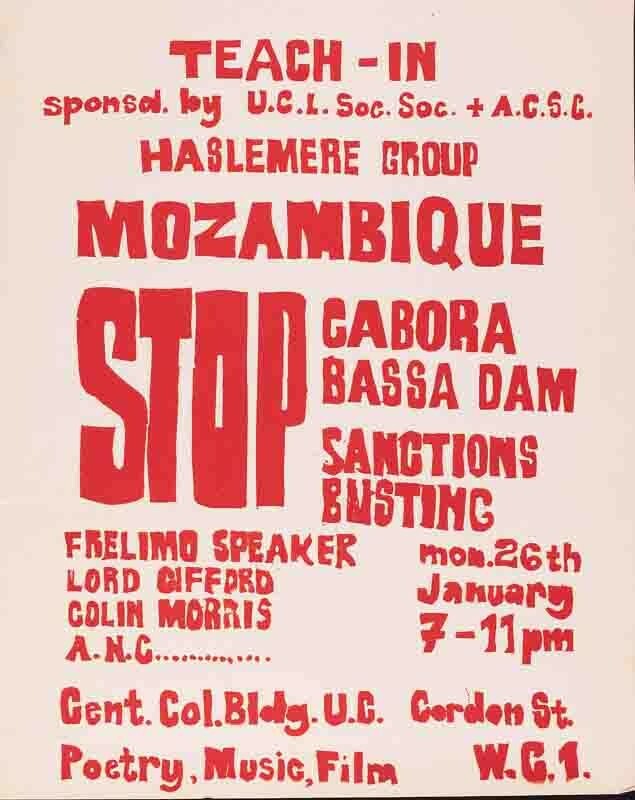 The campaign was organized by the Dambusters Mobilising Committee, a coalition of groups that included the Anti-Apartheid Movement, the Haslemere Group and the Committee for Freedom in Mozambique, Angola and Guiné. This image was provided by the AAM Archives Committee.